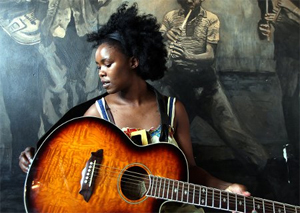 The University of the Free State (UFS) will host the annual Kovsie Extravaganza on October 13, named Zircus, because of multiple Sama-winning singing sensation Zahara who will be the event’s main attraction. The best of the student performers at Kovsies will share the stage with her. Local groups such as the UFS Choir, the Chamber Choir, Voices Inc and Sêr groups of the residences Emily Hobhouse, Sonnedou, Tswelopele, Vishuis, Villa Bravado and Welwitschia will also perform at the show. Veritas and Marjolein, the winners of the Campus Sêr competition, who came third and second respectively in the National Sêr competition are also taking part. The show will be the Arts and Culture office’s final event of the year, promising to thrill students, staff and the public with breathtaking performances. Tickets are available in Office 5 and 6, Thakaneng Bridge.